Ever since we moved to the meandering, steep slopes of Mussoorie, I’ve been wondering how anyone, let alone the Brits of yore, could survive the hills without the intrepid Nepali coolie. (Coolie is a corruption of the Tamil kuli=wage or wage worker) I moved here from Ranikhet and we don’t see so many coolies there though I am sure most other hill stations depend on them a great deal. Initially, I rarely noticed the Nepali coolies myself; they do tend to blend into the hillside. You could say, it was my indifference that made me not ‘see’. If you were to remove all these coolies from the hillside, life here would be another kettle of fish altogether. I live on a hilltop, a good 45 minute-walk from the market. Hypothetically speaking, if I choose not to leave my home for a month I could get by just by ordering on the phone. The car doesn’t come to our door step. No prizes for guessing who delivers all my provisions, carries sacks of manure for my potted geraniums, the 1/2 quintal of chopped wood for my winter stove… Or worse comes to worst, carries me out on a stretcher if I fracture a leg and can’t walk. For crying out loud, the house I live in wouldn’t have been built but for these coolies carrying the foundation bricks on their backs. At the cost of sounding flippant, I like to think of coolies as the Flipkart of the hills; they deliver. Moreover, they’re far more efficient, their work, far more commendable. I confess I haven’t stood in a queue since I moved here or waited days-on-end for a gas-cylinder refill! If you’re thinking ‘hills’ for an healthy lifestyle, find a hillside without coolies. They make life too easy! 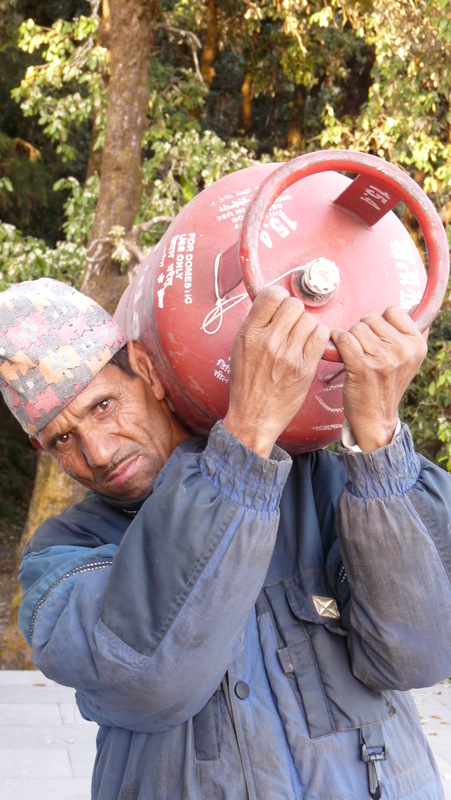 Nepali coolies are the hardiest workers I’ve seen; virtually unstoppable. You’ll pass them digging road side trenches bare handed in the grips of our Mussoorie winter and getting soaked to the bone in our cold monsoon-rain for a bread and egg delivery. Despite the cards they’ve been dealt, I find Nepali coolies to be a cheerful lot. I don’t quite subscribe to the theory that being mountain people they have more RBCs than most of us and therefore, are genetically stronger. So what ails our local hilly-billies? Can someone check their blood count and tell? 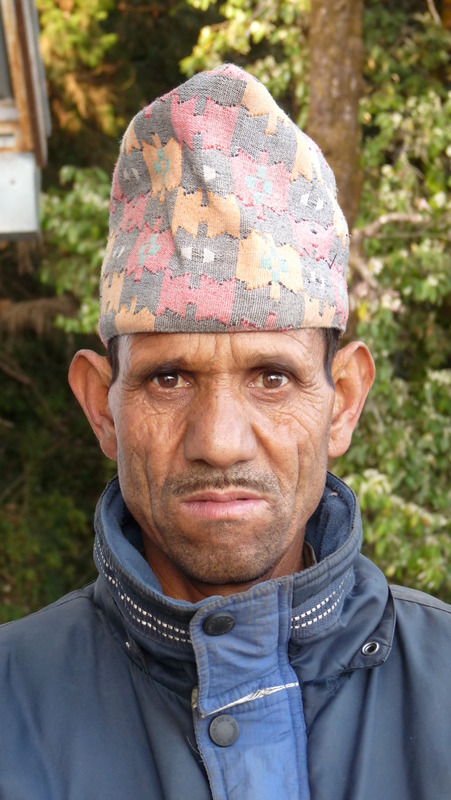 It’s the attitude and not the altitude that makes the Nepali coolie indispensable. It’s no secret that migrants work harder. Some of these coolies come from remote villages in Nepal 3-4 days journey away from here. For what, you wonder? Every coolie-dependent business is flourishing. Yet, the coolies’ earnest simplicity hasn’t got them too far. They’re ignored till required, kept at arm’s length and left to their own fate. They carry 25-30 kg loads multiple times a day for 5-6 km uphill for peanuts! The rate per load/day probably hasn’t changed for years. What can we do to improve their lot? Acknowledge their existence for starters? Treat them as humans not mules? Realise their worth? What do you think? 12 cartons of milk, 1 tray of eggs, flour, butter, 2 litres of oil et lots more.